The overlapping symptoms of Parkinson’s disease (PD) and progressive supranuclear palsy—Richardson’s syndrome (PSP-RS) often make a correct clinical diagnosis difficult. The volume of subcortical brain structures derived from high-resolution T1-weighted magnetic resonance imaging (MRI) datasets is frequently used for individual level classification of PD and PSP-RS patients. 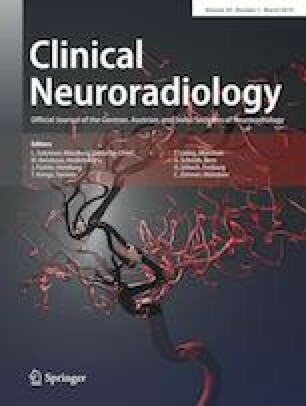 The aim of this study was to evaluate the benefit of including additional morphological features beyond the simple regional volume, as well as clinical features, and morphological features of cortical structures for an automatic classification of PD and PSP-RS patients. A total of 98 high-resolution T1-weighted MRI datasets from 76 PD patients, and 22 PSP-RS patients were available for this study. Using an atlas-based approach, the volume, surface area, and surface-area-to-volume ratio (SA:V) of 21 subcortical and 48 cortical brain regions were calculated and used as features for a support vector machine classification after application of a RELIEF feature selection method. The comparison of the classification results suggests that including all three morphological parameters (volume, surface area and SA:V) can considerably improve classification accuracy compared to using volume or surface area alone. Likewise, including clinical patient features in addition to morphological parameters also considerably increases the classification accuracy. In contrast to this, integrating morphological features of other cortical structures did not lead to improved classification accuracy. Using this optimal set-up, an accuracy of 98% was achieved with only one falsely classified PD and one falsely classified PSP-RS patient. The results of this study suggest that clinical features as well as more advanced morphological features should be used for future computer-aided diagnosis systems to differentiate PD and PSP-RS patients based on morphological parameters. This work was supported by Parkinson Alberta. A.S. Talai, Z. Ismail, J. Sedlacik, K. Boelmans and N.D. Forkert declare that they have no competing interests.